Are you a history buff and a romantic who also plans a charming trip to Savannah some time in the next couple of months? 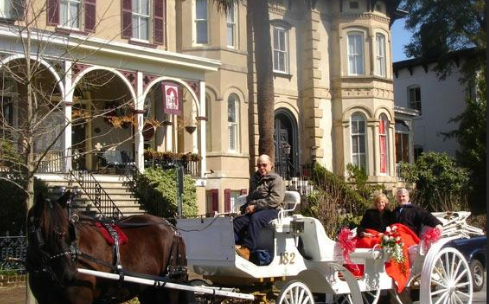 Here is something very special for you, the McMillan Inn that is on sale now with rooms starting from $160 per night, the best price you can find on the market for this luxurious historic inn. Located in the central area of the Historic District of Savannah, the McMillan Inn was not long ago restored to its original, 1888 form, inside and outside as well. It is close to several attraction, but is a jewel of the city in itself. 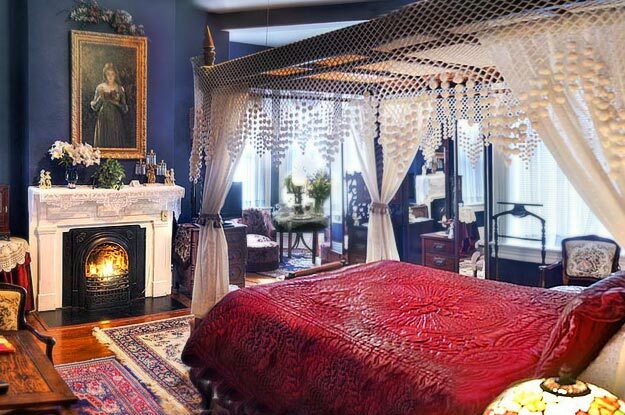 The elegant rooms and suites take you back in time a 150 years. Rooms at the McMillan Inn have amazing antique furniture, wooden floor, beautiful carpets and blackout curtains, antique art pieces, flat panel TV with cable and DVD player, bathroom with bathtub and shower, coffee and tea maker, alarm clock, iron with board, hair dryer, mini fridge and more. 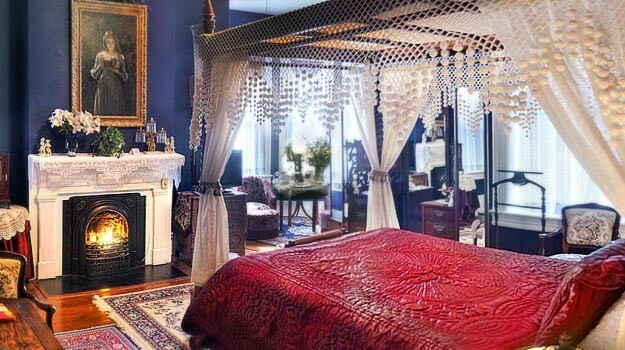 Guests who choose to stay at the McMillan Inn in Savannah will all get one free bottle of wine per room and, as this is a luxurious B&B, you will also get a rich southern breakfast every day. You can choose from delicious options egg casserole, peach pie pancakes, banana bread French toast, cream cheese icing cinnamon roles and a lot more. The inn has got an elegant, Victorian style common living area with a fireplace and even an antique piano. Outside, McMillan Inn bed and breakfast has a romantic courtyard with a pool and some lounge chairs where you can spend a sunny afternoon and eat some snacks, read a good book and have a drink. You can look for other hotels in Savannah that are also on sale if you would prefer a more modern hotel or are looking for budget accommodations. It is easy, just use the box below, add check in and check out dates and then compare all the travel sites that you want. When you have found the perfect Savannah hotel for your trip, book it before the deal is gone.